Ordering a hat channel made out of sheet metal is as easy as it can get - online. Your individually custom made hat channel can be ordered online in 4 easy steps. 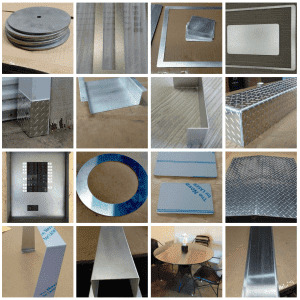 After you have chosen the the sheet metal you want (Choose from aluminum, stainless steel or steel), you will need to make up your mind on which surface and which thickness is right for your metal project. Once this is clear you just click on the buttons to select the given options. Last but not least choose the hat channel as your desired shape your metal should be cut and bend into. 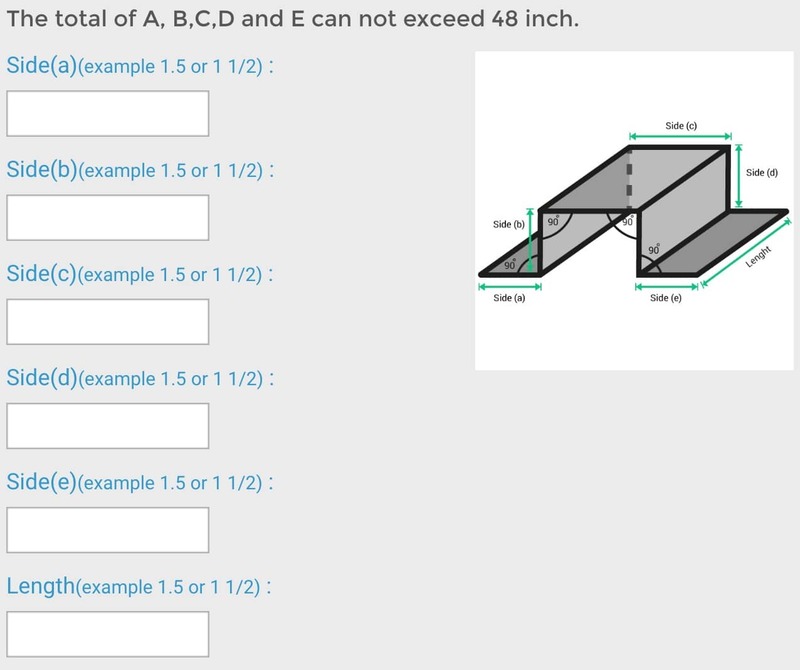 Enter the measurements you require in each field. The graphics right next to the fields show you which side is meant, so everyone is on the same page. 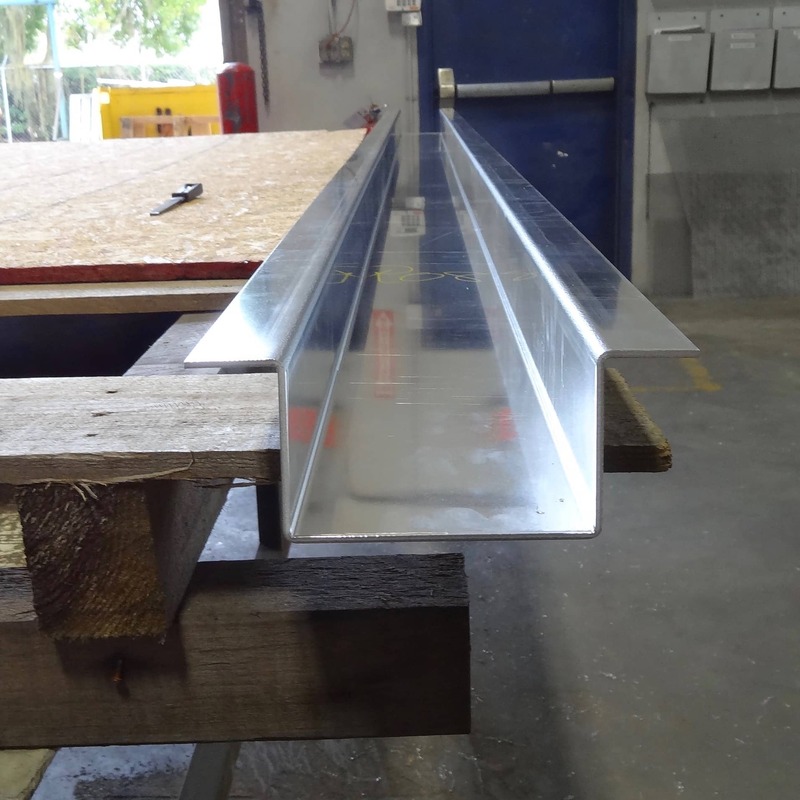 Now there are some rules we have to apply, because we have to make sure that we can actually bend the sheet metal you are configuring. Those metal rules are more general. So if something is turning "red" you still can send us a small drawing and ask us if we can fabricated or not. We will answer as soon as possible. Once you have entered all required fields a "calculate" button will appear which you need to click to see the price of the hat channel you have just build online. Place it in your shopping cart and configure the next part or start the checkout process. We also cut and bend: rectangles, circles, triangles corner guards ( angles ) U channel, Z channel and more.